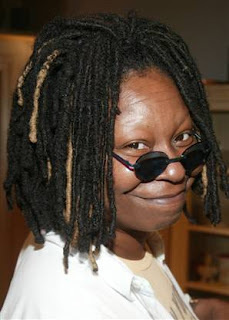 Credit goes to another liberal for honesty, this time it's Whoopi Goldberg. In an on-the-street interview with a reporter from cnsnews.com, the actress, comedienne, and co-host of The View, was asked about Barack Obama's plan to raise taxes on "the wealthy." In reality, "everybody's taxes are going up," said Goldberg. Goldberg is also a good student of American history. She's noticed that "whenever Democrats get in [to office], taxes do go up." Very perceptive Whoopi. Now, let's just hope that enough American voters have figured this out to stop it from happening. After Colin Powell, Barack Obama knew that the endorsements would come rolling in. Now he's gotten a big one . 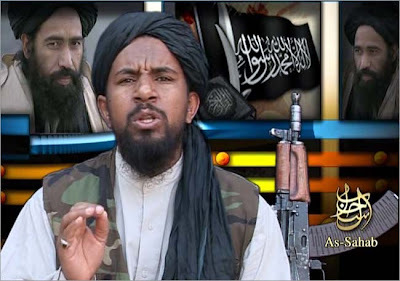 . . al Qaeda's Abu Yahya al-Libi, a high-ranking preacher and terrorist recruiter. Obama may have been hoping for a bigger name to announce support of his candidacy, but hope springs eternal, that announcement may be coming soon. For those who doubt Sarah Palin's intelligence . . . The common pop culture criticism of Republican VP candidate Sarah Palin - intensified by Tina Fey's performances on Saturday Night Live - is that she's dumb as a stump. She is most certainly not, but you don't have to take my word for it . . . check out this post by Elaine Lafferty, a strident, "Pro-Choice" Democrat and former editor of Ms. magazine. Lafferty, apparently echoing Fred Barnes, suggests that the people who doubt Palin's intelligence are people who have never met her or spoken with her. Lafferty, on the other hand, has met and worked closely with Palin as a consultant for the McCain campaign. 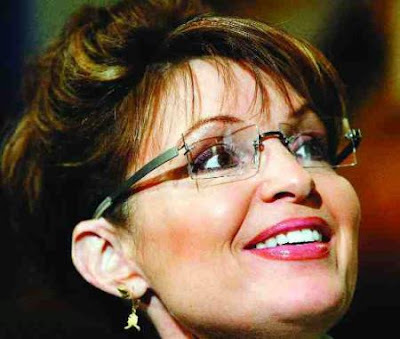 * She describes Palin as "very smart," in fact, "a brainiac." Palin is "thoughtful, curious, [and has] a discernible pattern of associative thinking and insight." She has a photographic memory that Lafferty has seen in action. If you disagree with Sarah Palin on policy issues, that's fine. You shouldn't but you are entitled to your opinion. But if you plan to vote for Barack Obama and Joe Biden because you think that John McCain picked a dimwit as his running mate then you are either simply uninformed or possibly a dimwit yourself. This chart comes from the latest published results of Gallup's Daily Election Polling Results. As you can clearly see, the gap between Barack Obama and John McCain is narrowing as McCain cuts into Obama's ever-so-small lead. With only two points separating the candidates, four percent of the electorate unaccounted for and possibly undecided, and a three point margin of error. This race is clearly TOO CLOSE TO CALL. So to all my Republican friends out there . . . don't give up. Keep up the fight. Hope remains despite what the media (or even this blogger in my more pessimistic moods) might tell you. Get out and vote for McCain-Palin on Tuesday. Shock Obama! Shock the media! Shock the world! First the banks, now the auto makers, what's next? And why not? After all, the feds ponied up a lot more of our money to bail out Wall Street and nationalize the banks. Why shouldn't Detroit have a turn at the trough? Just when did this become a nation where bad business was rewarded with government money? First the banks. Next the auto makers. What's after that? Insurance companies? Breweries? Retailers? 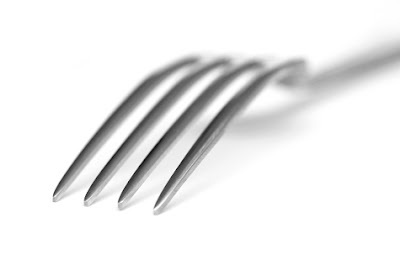 Fine dining restaurants? Convenience stores? The guys selling pretzels on street corners? What the heck, just nationalize the whole economy. Enough already. The American economy was grown by market forces. In the marketplace, businesses succeed when they create products or provide services that people want to buy, and do buy, for more than the cost of production. But, when businesses do not control costs or do not produce and sell their products or services at a profit, the market requires that they change or die. 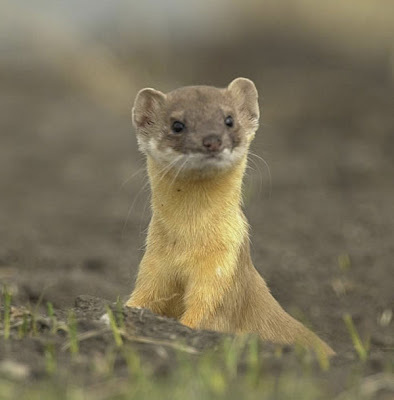 Tinkering with the market to prevent the consequences of bad decisions is like passing a student through a class, even though he failed the final exam - or paying a salesperson a commission, even though she didn't complete the sale. Selective tinkering in the marketplace is also fundamentally unfair. Why was AIG bailed out but Lehman Brothers wasn't? 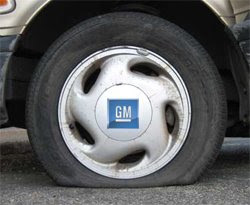 Why should taxpayers step in to save GM and Chrysler but ignore Linens-N-Things? For that matter, why doesn't the government step in to protect Joe's Bar and Grill? Or any other business? Allowing businesses to face the consequences of their mistakes may seem harsh and our economy would certainly suffer in the short term. But market corrections are necessary. And in the long run, we would all be better off allowing companies that make good decisions to be rewarded and companies that make bad decisions to fail. Is Barack Obama a socialist? . . . Yes. Don't believe me . . . just click on the link below and listen to Obama himself. Joe the Plumber became famous for asking Barack Obama a question about his tax plan. But the question wasn't that important and neither was the specific issue. What was important was Obama's unguarded and honest response about redistribution of wealth. Remember that Obama told Joe that he "thinks that when you spread the wealth around it's good for everybody." Was this just an off-the-cuff and meaningless remark? Maybe Obama just misspoke and didn't really mean it. Yesterday came proof that Obama's comments were no mistake but a rare insight into his actual belief system. He is a redistributionist, dyed-in-the-wool. Click here to listen to Obama during a 2001 interview on Chicago Public Radio, WBEZ. In the interview, Obama discusses what he believes were the "victories and failures" of the civil rights movement's litigation strategy in the U.S. Supreme Court. 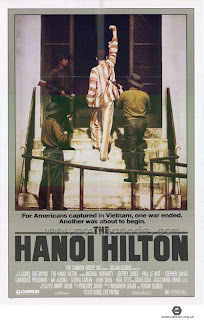 The victories included vesting of "formal rights," like, for example, "the right to vote." But Obama states that it was a failure that "the Supreme Court never ventured into the issues of redistribution of wealth." That's right, Barack Obama, the Democrats' nominee for president, believes that the U.S. Supreme Court should get involved in directly taking money from some people and giving it to others. Obama also seemed to suggest that the Supreme Court should not be bound by the Constitution itself. He argued that the Warren Court should have broken "free from the essential constraints that were placed by the founding fathers in the Constitution." Arguably, the Warren Court did just that but apparently it wasn't enough to please Obama. To please him the Supreme Court should, apparently, feel free to disregard any Constitutional boundaries and provide "economic justice." Certainly Obama's position indicating a need to "break free" from the Constitution is some indication of the type of judges or justices he would appoint. I don't think that the country can afford that. In a flashback to the beginning of his political career. Obama also suggests that community groups organize and work for "redistributive change." Does America really want that kind of change next week? A change to socialism? Interesting column by Michael S. Malone posted on the ABC News website. Link here to check it out. Malone has come to the realization that "the sheer bias in the print and television coverage of this election campaign is not just bewildering, but appalling." Of course not. But maybe the American public will start seeing through the media spin. Just in case you thought that your vote in next week's presidential election wouldn't matter, the St. Louis Post-Dispatch has published the results of their latest poll. It shows Barack Obama and John McCain in a statistical dead heat here in the Show-Me State. If any of you thought about skipping this election . . . don't. 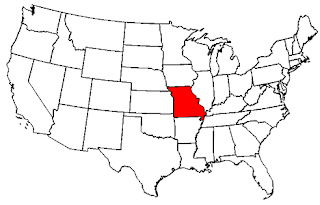 Missouri's eleven electoral votes hang in the balance. Do whatever you can to get out the vote. Though it looks bad nationally it is not hopeless. If Sarah Palin isn't ready to give up, we shouldn't either. But the GOP needs every last conservative on board. Vote! Get your family and friends to vote! Don't take anything for granted. I wish I had a dollar for every campaign robo-call that I've gotten over the past few months. They're annoying as can be but since they keep coming they must be effective enough to be worth the price. Barack Obama doesn't want to give tax breaks to companies that ship jobs overseas. (Who does?) I think we should take that one step further . . . let's not give votes to a party that ships jobs overseas. 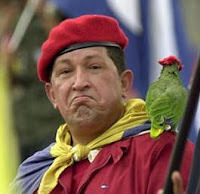 Hugo Chavez, Venezuela's anti-American dictator, is a Socialist. (And, no, that isn't a code word for "black.") His country has vast oil reserves and tremendous potential wealth. But, unfortunately for the people of Venezuela, their country's petro-dollars have not translated into basic electrical service. Venezuela suffers chronic power shortages and has gone through three nationwide blackouts this year alone. Socialism hasn't worked in the past; isn't working in the present; and shouldn't be tried in the future. That's a lesson that America's voters should learn before November. Investors Business Daily and the TechnoMetrica Institute of Policy and Politics have published their latest poll numbers. Those numbers show John McCain gaining steadily on Barack Obama this week. Tuesday, Obama had a 6.0% lead. Today, that lead has been cut to just 1.1%. Overall, Obama has 44.8% support and McCain 43.7%. That leaves and incredibly important and surprisingly large 11.6% of the populace "not sure" who they would vote for. With seemingly dozens of presidential polls out there, why should we care about this one? Well, it proved to be the most accurate poll in the last presidential election coming within 3/10 of 1 percentage point of George W. Bush's margin of victory over John Kerry. 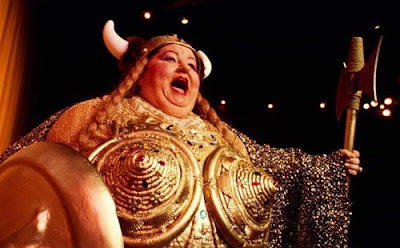 So, though she has warmed up, the fat lady apparently hasn't sung yet. 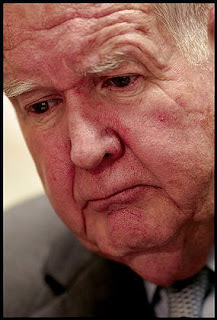 Rednecks ready to throw Murtha out of office? 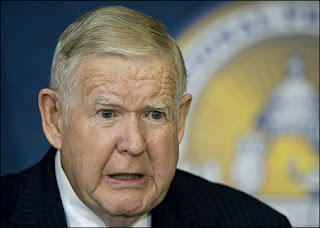 Veteran Democrat Congressman John Murtha has taken to calling his constituents "rednecks." Now, despite his incumbency, he's in a statistical dead heat with his Republican challenger. You think I'm kidding? If only. Today in London, the British House of Commons voted overwhelmingly to approve a bill legalizing the creation of "animal-human embryos for medical research." (Link to story here.) The measure moves on to the House of Lords but passage there is expected and "research" unimagined by Dr. Frankenstein will be legal in the U.K. 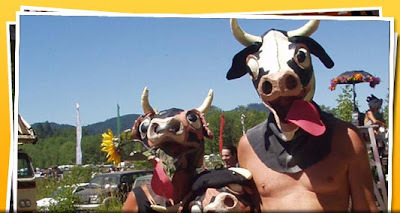 The world does not need Mutant Cow-People. The idea of cross-breeding human beings in a laboratory with cows, pigs, horses, or other animals is absolutely disgusting, appalling, and immoral. It is just too much. Stop it now . . . before we see the fire and brimstone. 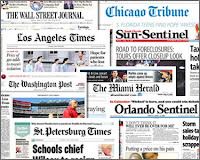 Click here to read an excellent column by Orson Scott Card (described as a Democrat and a newspaper columnist) lamenting the lack of actual reporting on the current economic situation and its causes . . . Fannie Mae, Freddie Mac, and their Democrat friends. Saint Louis Conservative gives credit when credit is due . . . even to Democrats. 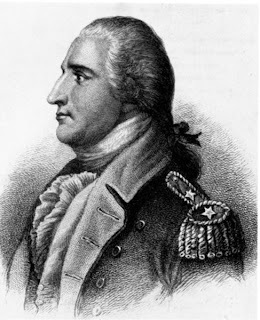 Today two prominent Dems, Congressmen Barney Frank and John Murtha, get credit for honesty. In an interview on CNBC, Frank was honest about his tax and spend policy priorities. He said that "at this point there needs to be a focus on an immediate increase in spending," deficits be damned. 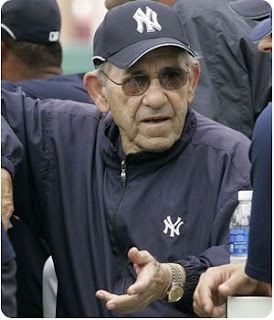 Then, "later on, there should be tax increases . . . I think there are a lot of very rich people out there whom we can tax at a - at a point down the road." Frank's position should come as no shock to anyone paying attention to the liberal Democratic agenda over the past several decades. But I did think that these folks were too smart to tell the truth about it. Way to go Barney! Murtha's honesty wasn't about economic policy but about how he sees the world and, more specifically, how he views Americans living in western Pennsylvania. Initially, he called everyone there "rednecks." He's backed off from his blanket statement somewhat by claiming that he simply meant that "there's still folks that have a problem voting for someone because they are black . . . particularly older people. They want change but they don't want to see things go too far." That's a lot of faith in the American people Congressman Murtha. Thanks for showing us your true colors. Mark my words. [And then, repeated for emphasis] mark my words. It will not be six months before the world tests Barack Obama like they did John Kennedy. . . . Watch, we're going to have an international crisis, a generated crisis, to test the metal of this guy. Biden gaffed his way into a legitimate question . . . is Barack Obama ready for a test of leadership on the international stage? 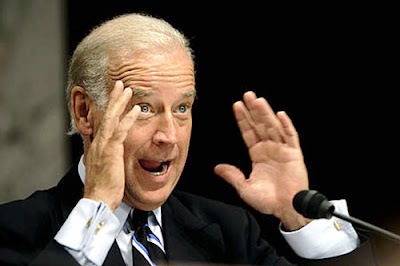 Is he ready to handle a generated international crisis that may (or according to Biden - will) be thrown at him? As a leader on an international stage, do Americans really believe that Barack Obama is fit for the job? With no executive experience and very little life experience? And after just two years in the U.S. Senate? The answer to those questions should be a resounding "no" but then again it is true that "nobody ever went broke underestimating the intelligence of the American public." So, let's ask another question - even if you believe that Obama can handle a crisis in world or military affairs, do we really want to elect a president whom the world will need to test? Despite his flaws, John McCain is a much better answer. As he put it today, "America will not have a president who needs to be tested. I've been tested, my friends." The second sentence is true, without a doubt. Let us all hope that the first one proves to be. Lewis Diuguid (whose byline identifies him as the "Kansas City Star Editorial Page columnist") seems to have no idea what the word "socialist" means. He wrote a piece today suggesting that "socialist" is really a white, racist code word for black. And John McCain and Sarah Palin are simply race baiting when they refer to Barack Obama as a socialist. Here's a suggestion Mr. Diuguid, buy a dictionary. 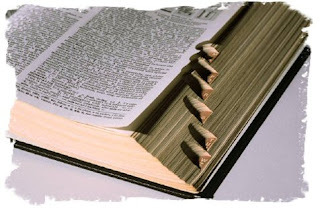 Or, if you can't afford one, try dictionary.com, which defines "socialist" as "an advocate or supporter of socialism." In turn, "socialism" is defined as "a theory or system of social organization that advocates the vesting of the ownership and control of the means of production and distribution, of capital, land, etc., in the community as a whole." Guess what . . . black, white, red, green, or blue . . . Barack Obama is a socialist. Just ask Joe the Plumber. What should we do when we close Guantanamo? 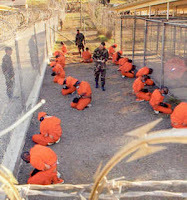 Both presidential candidates have announced their intention - or at least their desire - to close the terrorist detention camp at Guantanamo Bay, Cuba. But, one might ask, what should we do with all the lovely people being held there? A potential solution came to me today reading this article. The headline says it all: "Saudi Arabia prepares first al-Qaeda trials." Our Saudi "friends" have a certain old-world style when it comes to dealing with criminals. That style might just be what the doctor ordered. For those of you who think that Barack Obama is a new kind of politician . . . he's not. Obama is a politician just like all the rest. Here's a new (albeit minor) example: Obama is officially rooting for the Philadelphia Phillies and the Tampa Bay Rays in this year's World Series. Since both Pennsylvania and Florida are "swing states," what more do you expect? Now, in fairness, I doubt that John McCain has taken a stand on the issue either. But, wouldn't "change" be nice this November? Why is it not a surprise? Not because both are African-American, though Rush Limbaugh and others have suggested that race is the reason. No Rush, race has nothing to do with it. Abortion is the one and only issue. Powell is "Pro-Choice" and says that he "would have difficulty with two more conservative appointments to the Supreme Court, but that's what we'd be looking at in a McCain administration." That's code folks . . . code for "if you elect McCain there is a good chance that Roe v. Wade will be overturned and we can't have that." Nobody in the Pro-Life movement should be surprised at Powell's stance. In fact, I think that he deserves some credit for standing up for his beliefs - though they are repulsive. The Supreme Court hangs in the balance this November. That's why Tom Ridge, Joe Liberman, and others of their ilk make no sense to me at all. Abortion underlies all of recent American politics. Why else would Republicans be so hated by Hollywood, the Press, and liberal elites? Aren't their politics pretty similar on most other issues? It is all about abortion. Shame that the subject is barely mentioned in the campaign. Refusing to allow the showing of something positive about McCain fits quite well with Hollywood's m.o. It is simply the flip-side of the coin that allows Lions Gate Entertainment to release W this friday or Fahrenheit 9/11 in 2004. If the project paints a Republican in a bad light, by all means, release it before an election. On the other hand, if it shines a positive light on a Republican, well, we wouldn't want to affect the election. As Lionel Chetwynd put it, "finding someone in Hollywood who says they don't want to affect the election is like finding a virgin in a brothel." Take both claims with a grain (or ton) of salt. Not one to be overly emotional, I did see a sight today that deeply saddened me. It happened at the courthouse in downtown St. Louis. While I was walking through the corridor, the elevator doors opened and sheriff's deputies escorted four prisoners in orange jumpsuits out and toward one of the courtrooms. Waiting for one of these prisoners was a little girl, I guess about two years old, in the arms of her grandmother. She was excited to see "Daddy" and he was excited to see her, waving and calling out as he was ushered along with all the other prisoners. The scene started me thinking. What must it be like for a two-year-old to be separated from an incarcerated parent? How wonderful it must be to see "Daddy" at any time but how horrible that the best opportunity to do so comes when he's being escorted from jail to a court hearing. While I feel genuinely sorry for the parent in this situation, thinking of the child truly breaks my heart. If your heart breaks at stories like this one too, check out Project Angel Tree this holiday season. 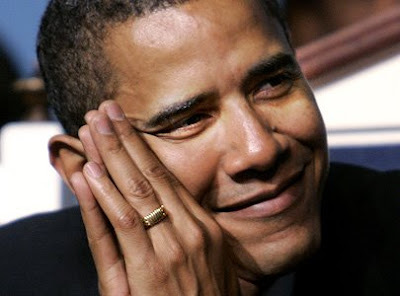 Barack Obama was recently overheard being uncharacteristically honest about he implications of his tax programs. See the video here of Obama talking with a skeptical plumber yesterday. Obama can be overheard claiming that while he does not "want to punish your success" he does admit that he "thinks that when you spread the wealth around it's good for everybody." His goal is spreading the wealth around. That's socialism folks! Communism! Isn't Obama really just paraphrasing Karl Marx's famous "from each according to his ability, to each according to his need"? Can't America see the wool coming off this Marxist in sheep's clothing? Just who is this Obama supporter . . . Fidel Castro. I know that the octogenarian Cuban dictator is a blow hard communist and I could not really care less what he has to say about American politics but it is interesting to note who the communists worldwide are supporting in November. In addition, Castro's comments aren't that far from the comments of prominent Americans. See, for example, Congressman John Lewis (D-Gerorgia), Congressman Alcee Hastings (D-Florida), Democratic National Committee Chair Howard Dean, Governor Kathleen Sebelius (D-Kansas) or Jack Cafferty of CNN. Enough of the racist nonsense already. It is possible to be anti-Obama and not anti-black. I think that his election could prove to be the worst thing to happen to the country in my lifetime but it is because of Obama's extreme liberalism, not because of his race. "Which candidate do you trust more to get us out of the current economic crisis? 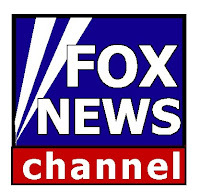 Today at lunch I noticed that question posed by the folks at Fox News. Tonight I found that question was today's "Question of the Day" on The Live Desk With Martha and Trace. 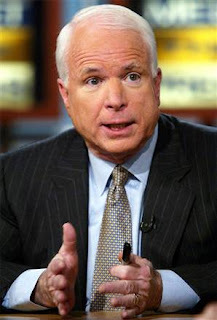 The answer to any question asking me who I "trust more" between Barack Obama and John McCain should be pretty obvious. Though I don't have much trust in McCain, I would certainly trust him more on anything than I would Obama. But the question is flawed and symptomatic of something wrong with modern America . . . it implies that the president can fix our economy. The simple fact is that he can't - no matter who he is. We live in a market economy and market forces are too powerful to be controlled by the government. While government policies can have some effect - often negative - no president can fix the problem or "get us out of the current economic crisis." Martha MacCallum and Trace Gallagher appear to have typical American attitude . . . child-like, wanting to be taken care of by the nanny state. And naively believing that government is up to the task. Click on the link above and let Martha and Trace know your thoughts. 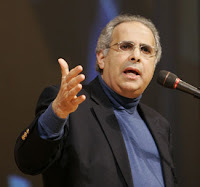 Pollster John Zogby claims that despite what Democrats are saying (and what this blogger is saying) the presidential election is not a foregone conclusion. 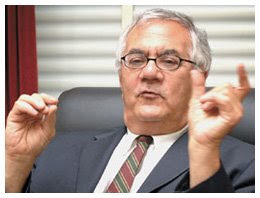 "I don't think Obama has closed the deal yet," Zogby told the Boston Herald. His polls have the race in a statistical dead heat and reminds him of the 1980 election, "when voters didn't embrace Ronald Reagan over then-President Jimmy Carter until just days before the election." For the sake of the country, I hope that Zogby is right and not simply hyping up interest so that people still notice his polls for the next month. Not without historical precedent, Pro-Democrat voter fraud is again running rampant in Kansas City. Tom Pendergast would be proud. According to this Associate Press story, among the voter-registration forms submitted by ACORN, the Jackson County election board has so far "identified about 100 duplicates, and probably 280 addresses that don't exist, people who have driver's license numbers that won't verify or Social Security numbers that won't verify. Some have no address at all." How does ACORN do it? Christopher Barkley, a Domino's Pizza employee in Cleveland came clean to the New York Post. In their story today, Barkley estimated that he had registered 10 or 15 times after being hounded by ACORN's community organizers. He says that he "kept getting approached by folks who asked me to register. They'd ask me if I was registered. I'd say yes, and they'd ask me to do it again. Some of them were getting paid to collect names. That was their sob story and I bought it." If an election is close, will it be legitimate votes that sway the result? Or will frauds and fakes decide who becomes the next president? 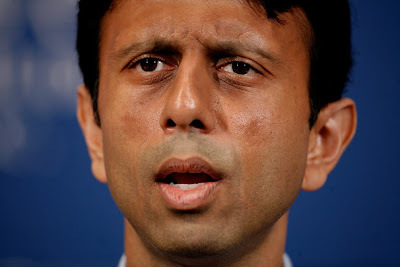 Governor? 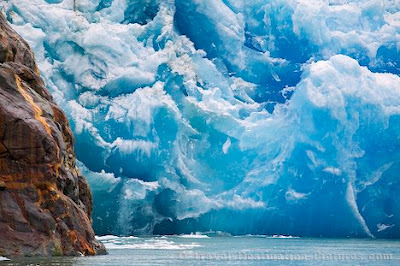 The world's recent economic woes, which seem to border on total collapse, are bringing smiles to the global warming crowd. 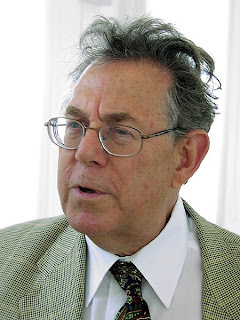 While recognizing "it's a cruel thing to say," Nobel Prize winning atmospheric scientist Paul Crutzen goes ahead and says, "if we are looking at a slowdown in the economy, there will be less fossil fuels burning, so for the climate it could be an advantage." So there you have it. Even if the global economy collapses into depression, things aren't all bad . 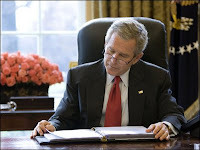 . .
Bush's "sins" against "abortion rights"
George W. Bush will not go down in history as a great conservative president. He's made some serious mistakes in office and his party is set to pay the price in November. But as my friend The Tim Man has lamented . . . soon we will be looking back on the Bush presidency as the good old days. In a recent column in the St. Louis Post-Dispatch (a excellent column advocating single issue, Pro-Life voting), Colleen Carroll Campbell, lists President Bush's "sins against the abortion lobby" as gleaned from NARAL Pro-Choice America's website. Those "sins" include: banning the use of taxpayer money to support abortions overseas, signing the Born-Alive Infants Protection Act (which Barack Obama famously opposed), signing the Partial-Birth Abortion Ban Act, and appointing John Roberts and Samuel Alito to the U.S. Supreme Court. Thank you President Bush for your efforts on behalf of unborn children. 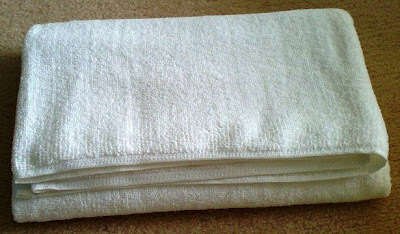 "Don't throw in the towel." Just now, on the way to lunch, I heard Rush Limbaugh imploring us not to throw in the towel. Too late Rush, I threw it in last night. 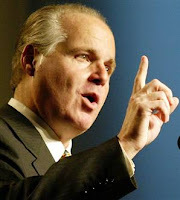 Limbaugh, gallantly, is asking his audience to "drag McCain over the finish line." But the lifeless corpse of his candidacy is getting heavier and heavier. And we're getting tired of pulling that weight around. And what would be our reward if we do get McCain elected? A McCain presidency. Oh boy. Rush is advocating a one-step-at-a-time approach. I'm paraphrasing now (writing it down while driving would have been dangerous) but he's asking us to save the country from Barack Obama and then save it from the inevitable liberalism (a.k.a. "reaching across the aisle" or "working with Democrats") of a McCain administration. Isn't it sad that electing a guy that we'll have to save the country from is the best choice? I truly hope that I'm wrong but I think a Democrat romp in November is now very likely. The Republican Party can respond to this defeat in one of two ways . . . it can become a true conservative alternative to the Democrats or it can fade into obsolescence. It's over. 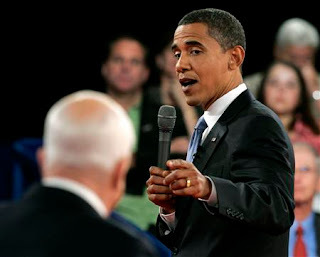 The 2008 presidential election ended tonight, in Nashville, Tennessee, when John McCain met Barack Obama for their second debate and utterly failed to deliver. Obama delivered. His presentation was smooth and confident. He stuck - roughly - to the topics presented and made his case. McCain's presentation was choppy and erratic. Whatever momentum Sarah Palin gave the McCain campaign is spent. I don't believe that he said anything different tonight than we've heard a dozen times before - and he didn't even say it in a different way. It was the same old John McCain tonight. The same old McCain who is BEHIND in the polls already and fading. But he doesn't seem to realize it. Reality is setting in at Saint Louis Conservative. Barack Obama will be the next president of the United States. That fact has significant implications and should prompt the conservative movement into action. The sooner the better. We have to put an end to conservative complacency. Conservatives haven't had a leader emerge since Ronald Reagan. In a previous post I asked if the appointment of Anthony Kennedy to the Supreme Court was the worst mistake that Ronald Reagan ever made. Allow me to answer that question now . . . it wasn't. Ronald Reagan's worst mistake was the selection of George H.W. Bush as his running mate instead of a true conservative. Picking Bush as his V.P. resulted in turning over the keys to the Republican party to a moderate after eight years of Reagan's leadership. Bush 41 begot Clinton who begot Bush 43 . . . next comes Obama. How would history have changed if Reagan had nominated Jack Kemp instead of Bush? We need leadership. Will it be coming from Alaska? Louisiana? Maybe the next great conservative doesn't even hold an elected office yet. But it is time to focus on the grassroots levels of politics to develop such a leader (or leaders). We need conservative mayors and council members, state representatives and senators. Get to know who is running. Support the conservatives. Run yourself even. We also have to retake the GOP or leave it. For years, the Republican Party has tried to be a "big tent" party where folks were welcomed in no matter what they believed in. Party membership these days requires only a preference for elephants over donkeys. You don't have to believe in lower taxes, smaller government, military strength, the right to life, or anything else for that matter. Just agree to vote with "our" block come election day and you're in. The party will support you. That must change. If the party doesn't stand for something, it shouldn't stand at all. As long as conservatives remain in the GOP, we must prepare ourselves to be an opposition party once again. Historically, we're good at it. Principled opposition stopped the Hillary Clinton socialized medicine plan. Conservative opposition stopped the amnesty for illegal immigrants bill. We can't stop every bad thing the Democrats will propose but if attention is focused in Congress when it really matters, Republicans can remain a force to be reckoned with. As pro-lifers, conservatives must realize that for our generation, we've lost the Supreme Court. With an Obama presidency, we cannot expect in our lifetimes to gain the votes to overturn Roe v. Wade. That "simple" solution is impossible. So the time is now to focus our energies in other venues . . . public opinion and potentially a constitutional amendment to protect the rights of unborn children. It is either that or give up the fight altogether. I'm not willing to do that. And the conservative movement can't be either. Watch your wallet, endure the pain and prepare for midterm elections in 2010 and our next chance to regain the presidency . . . 2012. If you haven't seen the video of ten teenagers at a Kansas City charter school teacher-sanctioned event, click here, you should see it. The video is downright scary. These boys in their military-style uniforms are choreographed to march around and chant praises to Barack Obama. Their "leader" has inspired them. Granted, this little video is no Leni Riefenstahl production, but the only thing missing is cinematic quality. This "Obama Youth" event comes fast on the heels of the sickeningly sweet (on one level but just sickening on another) video release of little children singing about their wonderful beloved Obama. That video can and should be seen here. This is absolute indoctrination at a base level. 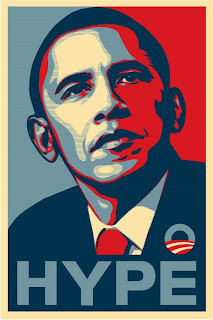 A cult of personality has developed around Barack Obama and is growing day by day. No man should be worshiped this way. My apologies for my unexpected absence from the blog yesterday. I wasn't feeling well. And despite rumors to the contrary, my ill health had nothing to do with my fantasy football team reaching new depths at 0-5. But liberals beware . . . I'm baaack. Yesterday, I wrote that in tonight's debate voters would be watching Sarah Palin to see if she was up to the job of vice president - if she was knowledgeable -if she was intelligent, steady, and tough. The debate answered each of those questions with a resounding "YES!" With much less experience on a national stage, Palin more than held her own with Joe Biden. She was on-point, confident, charismatic, and, generally, a breath of fresh air into politics as usual. She is by no means the incompetent buffoon as Katie Couric and the rest of Big Media was trying to imply. And that is all that she needed to prove. This debate should give John McCain another bounce in the polls. Let's hope that McCain is smart enough to ride the bounce this time. I doubted that she could do it but having just finished watching the vice presidential debate, Gwen Ifill deserves credit for work. She was professional, impartial, balanced, and fair. Whether because of the pre-debate attention she drew or because she is a true professional in a "profession" where that is rare, Ifill did a good job tonight. Thank you Ms. Ifill for keeping your pro-Obama feelings out of the debate. Obama signs sport Red Star of Communism. Coincidence? 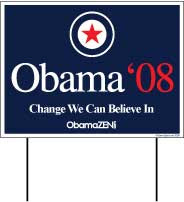 Driving in St. Louis County this week, I noticed a Barack Obama yard sign like the one shown here (which is available at democratnationalcommittee.com) that I hadn't seen before. Instead of the usual circle logo this sign showed a big red star. What's a red star the symbol of? Dramatic pause . . . that's right . . . COMMUNISM. I'm not making this up. 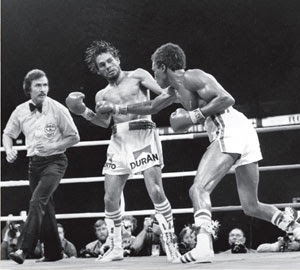 Click here for the Wickipedia entry on the red star. Does anyone think it is merely a coincidence that Barack Obama's yard signs feature a well known symbol of communism? Or does this show us who Obama really is? John McCain agrees with the obvious. Today he told Fox & Friends, "Frankly, I wish they had picked a moderator [for tonight's vice presidential debate] that isn't writing a book favorable to Barack Obama. Let's face it. But I have to have confidence that Gwen Ifill will handle this as the professional journalist that she is. . . . Life isn't fair." No Senator McCain, life isn't fair. And this debate is unlikely to be fair. It is even less likely that the Big Media spin following the debate will be fair. 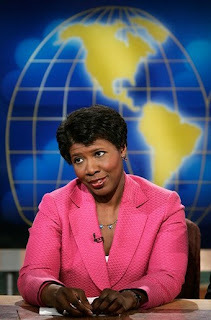 But, hopefully, with everyone aware that Ifill is in the tank for Obama, she'll be on her best behavior. And, hopefully, American voters will watch the debate itself and decide for themselves whether or not to support Sarah Palin rather than waiting for the press to tell them what to think. I found McCain's comments reported on Politico.com (which I linked through Drudge Report) in a piece by Mike Allen. In the piece, Allen says that Ifill "is viewed as one of Washington's fairest journalists." So what?! Isn't being one of Washington's fairest journalists something like being one of al-Qaeda's nicest terrorists? All eyes will be on St. Louis tomorrow night as Sarah Palin debates Joe Biden. 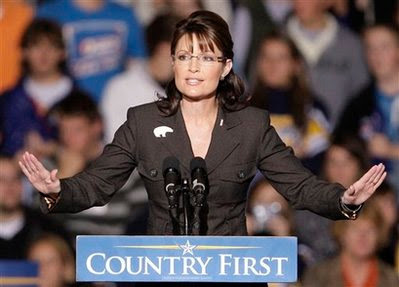 And, quite frankly, Governor Palin's performance will probably decide whether John McCain or Barack Obama will be the next President of the United States. McCain languished in the polls and Obama's election seemed certain until Palin joined the ticket. The buzz created by her nomination and the speeches that she gave when McCain introduced her on August 29 and at the Republican National Convention have been the only highlights of the campaign so far. Palin gave conservatives a charismatic national voice (for a change) and energized the party. Her no-nonsense style and outsider status has even appealed to moderates and across party lines. Despite the positive Palin-effect, McCain has pushed his running mate into the background over the last few weeks. The most celebrated appearances that she has made lately have been in "gotcha" attack interviews by liberal Big Media stars that were edited to paint Palin in a bad light. But tomorrow is her chance - live television - and an expected audience much larger than Katie Couric could ever dream of. Barack Obama is a charismatic and accomplished speaker (though about all he has to say is fluff or socialism). Obama's got plenty of campaign money and the media on his side. The deck is stacked in his favor and momentum seems to be swinging his way. John McCain has two things going for him . . . he's not Barack Obama, and Sarah Palin. Voters will be watching her tomorrow night to see if she's up to the job of vice president. Is she knowledgeable? Is she intelligent? Is she steady and tough? If Palin can show that she is all of those things, the Republican party will bounce back and you'll see a surge in the polls that McCain could ride all the way to Pennsylvania Avenue. If he's smart enough and humble enough to do so. 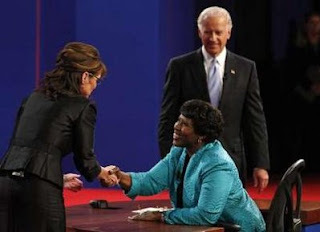 PBS's Gwen Ifill is hosting Thursday's vice presidential debate between Sarah Palin and Joe Biden. She's, of course, an esteemed member of the Fourth Estate. As a journalist, of course, she wouldn't have any personal stake in the election that would cloud her ability to fairly and impartially discharge her duties as an independent moderator. Right? Wrong. She's writing a book about Barack Obama called "The Breakthrough." The book is about how the "black political structure" is changing with new leaders emerging like Obama. Does it surprise anyone anymore that a reporter is aligned with the Democrats? It shouldn't. But it galls me how in the tank Big Media is for Obama this year. This is just the latest example. Enough already!